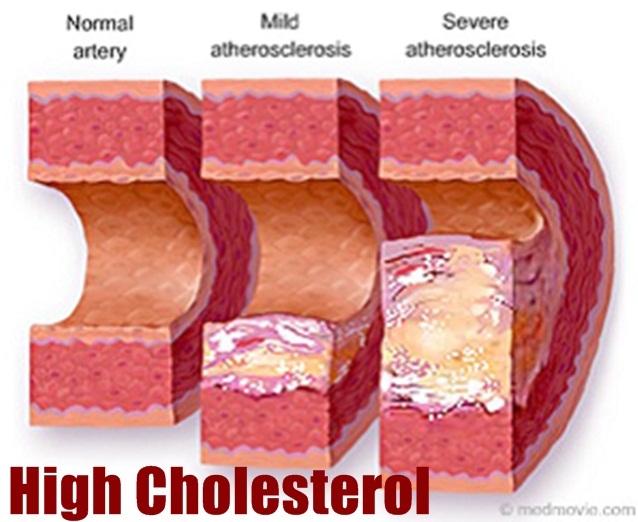 If you have high cholesterol, it’s can grow into a significant medical problems. Cholesterol levels is something that needs to be checked on a consistent basis. If you got a reading back 2009 and think that it is the same, you should definitely get your your cholesterol levels checked again. Cholesterol levels will rise with age, so it is recommended anyone that is over the age 20, should be screed for high cholesterol at least once a once every five years. You should probability get higher frequency of screenings if you are high risk for heart disease, it’s always a good idea to ask your doctor. There is good news, if you have high cholesterol levels, you can immediately start to lower it. If your low density lipo-protein or (LDL) (Bad cholesterol) is at a high level, you can get it down, quickly and easier than you might think. You can see significant reductions within six weeks from the time you start to take healthier steps. You already know that you have to get your cholesterol level down, but how much lower should you aim for. There can be multiple factors that affect the number that is right for you, including family history of heart diaereses, obesity, cardiovascular risk , smoking, diabetes or high blood pressure. If you are a high risk, a doctor can treat you to target your LDL to 70 or lower. If your risk is moderate the target LDL will likely be 103 or lower and low risk can be a LDL or 160 or lower. More doctors are treating people earlier for high cholesterol levels. Lifestyle changes can definitely help you lower your cholesterol levels, but if you have high cardiovascular risk, you might want to consider taking medication that can lower you cholesterol. Drug therapy can work very fast lowering your Cholesterol levels. Doing the basics of eating right, exercising can lower the rsik modestly, but medication may be appropriate if you need faster results due to elevated risk levels. There are several types of medications that are used to lower cholesterol, these include naicin, bile acid resin, and fibrates. Statins are the most popular treatments used by individuals Statin can lower LDL cholesterol between 20% and 50%. Doctors previously though that cutting back on cholesterol rich foods, would help lower the cholesterol. But now it is clearly that saturated fat is the culprit, rather than restricting cholesterol. Eggs will not affect or raise your cholesterol levels by much. It makes since to look at the levels of fat are present with you foods. Saturated fat tends to produce artery causing proteins that will raise cholesterol amongst other disorders. Reducing vegetable oil, butter, stick margarine, shortening and lard as well as cutting back on meats will help lower your cholesterol. 5 Eat more fibers, such as fruits and vegetables. Fruits and vegetables, and whole grans, are great sources of healthy antioxidants and but also dietary fiber. Soluble fiber can help lower your cholesterol. It takes cholesterol and absorbs it. Great sources of fiber are dried beans, and barley.